The Unknown Dark Side to 13 of History's Favourite People #infographic ~ Visualistan '+g+"
History loves an icon, whether they're political, religious or just particularly cool. Unfortunately, people only seem to remember the good bits. 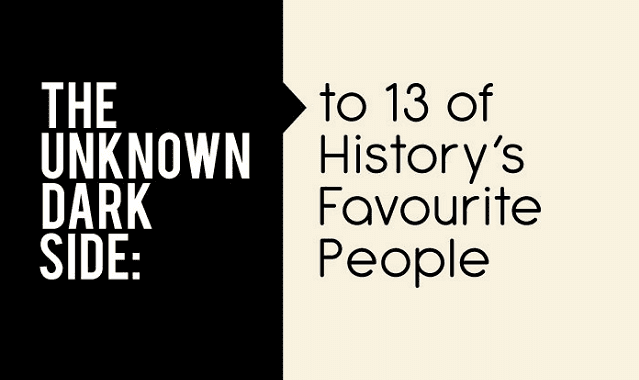 This infographic breaks apart the cult of personality surrounding some of history's most loved people.